With an objective to fulfill the ever-evolving demands of our clients, we are engaged in offering a wide assortment of Camp Tent. 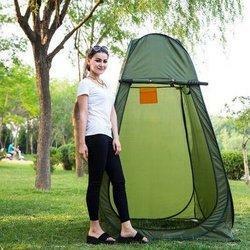 You now not need to battle to determine easy methods to arrange your tent. Eagletail’s wireless tent was once designed to make camp arrange as simple as 1, 2, 3. Light Weight Resort Tents Code : RT-04 Our resorts have always earned us huge accolades from our clients because of their attractive designs, spaciousness and absolutely durable structure. Available at competitive prices, our light weight resort tents are easy to maintain, install and dismantle and ensure that your all requirements are met. With the help of our expert team members, we have been able to provide Outdoor Camping Tent. 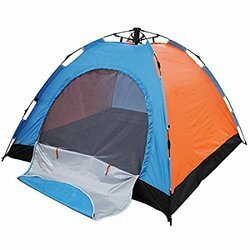 This is a light weight portable camping tent which can be set up in less than a minute. Just pack and go!! Its constructed with a durable polyester fabric wall & roof, with silver polyurethane and a shock corded fiber glass pole frame. It has a large front entrance equipped with a zipper mesh closure & storm flaps.